Album of approximately 104 albumen prints. Late 1860s-80s. Each approximately 7 x 9½in. (17.8 x 24.2cm.) or the reverse. The majority titled and numbered in the negative. Impressed initial M in gilt on front cover, gilt title on spine, brown leather, g.e. 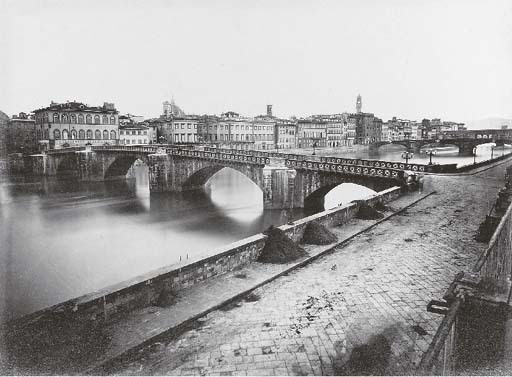 See: Braus, Giorgio Sommer in Italy: Photographs 1857-1888, p. 53. The majority of the views are of Florence with others in Pisa, Ravenna and Bologna.